"En realidad no ... Bueno, tal vez, cuando miro hacia atrás, tal vez lo fue. De hecho,coincidió con mi llegada a Nueva York, esa noche le dispararon. Yo estaba en Virgin Records en Perry Street, que estaba a sólo unas pocas manzanas bajando la calle desde el edificio Dakota donde ocurrió, por lo que probablemente se hundió en mi subconsciente . Fue originalmente inspirado por una película que me encantó - 'Houdini' ,... su origen fue influenciado por eso, pero un montón de otras cosas entraron en mi subconsciente como el asesinato de John. 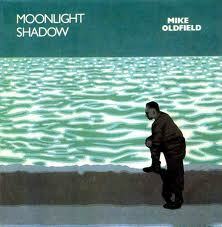 "Gareth Randall Entrevistas Mike Oldfield" .
" Really not... Well, maybe, when I look backward, maybe it was. In fact, it coincided with my arrival to New York, that night they shot him. I was in Virgin Records in Perry Street, that was to only a few apples lowering the street from the building Dakota where it happened, for what probably it sank in my subconscious. It was originally inspired by a movie that I was charmed with - 'Houdini'... the origin was influenced because of it, but a heap of other things they entered my subconscious as John's murder. "